Are you ready to ferment with a degree of control, accuracy, and quality unlike anything you've experienced before?! 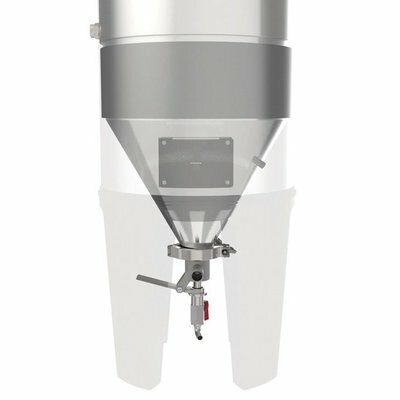 Introducing the Pro Edition Grainfather Conical Fermentor! 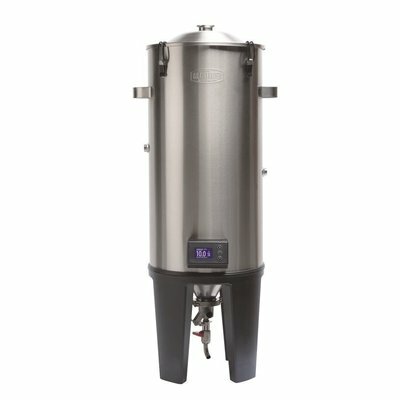 This unit allows home brewers to achieve professional quality fermentation in their very own home! Achieve the ultimate in fermentation control and dial in the production of your favorite brews with a temperature controlled fermentation chamber. Fermentation is one of the most important parts of fermentation! The Grainfather Conical fermentor helps reduce contact with your yeast cake, reduces exposure to oxygen, maintains a stable fermentation temperature, and allows for modular additions all in one unit! Double-Walled Body: A stainless steel double walled body filled with a considerable layer of polyurethane foam adds the ultimate insulating capacity. This helps keeps the wort at a constant stable temperature with minimal fluctuation from any outside temperature changes. This dual wall feature provides a level of insulation that a standard jacket just can't achieve. Built in Gentle Heating: Between the outer body of the fermentor and the cone in the bottom rests a 30 Watt, 12V heating element designed to warm your brew. The beauty of this heating element is that it heats the area around the beer rather than directly heating your brew. This results in a more even, steady, gentle heating that is less likely to cause hot pockets or disturb your yeast. 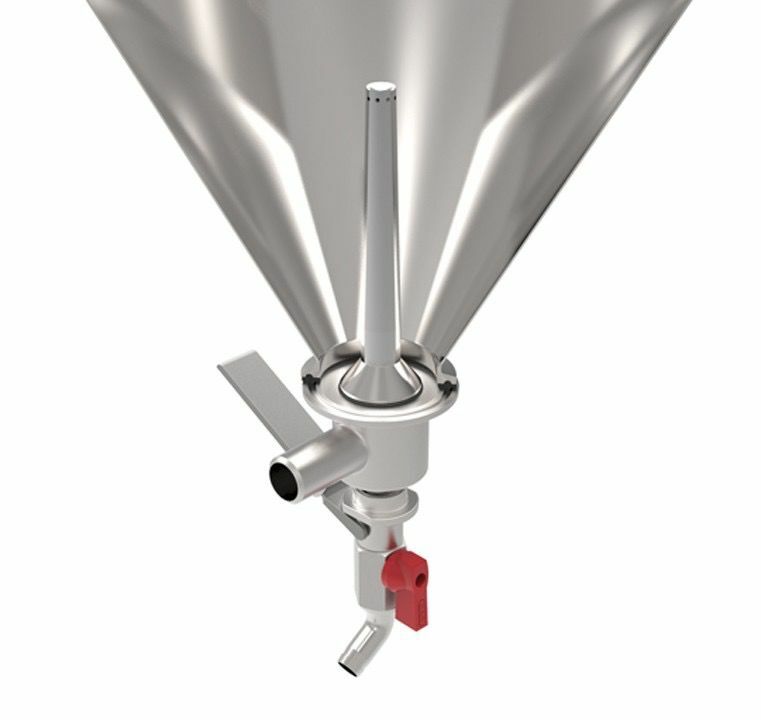 The fermenter acts as an artificial environment which can be heated or cooled, meaning the temperature is raised in an even and controlled manner which is much better for the yeast. Integrated Cooling Sleeve: Nestled between the inner and outer walls lies a stainless steel cooling sleeve; welded onto the inner wall of the fermenter and capable of being attached to the Glycol Chiller. The temperature is dialed into the Temperature Controller and as the cooling liquid travels through this sleeve, it cools the stainless steel which in turn evenly cools the beer in the fermenter. The cooling sleeve never comes into contact with the beer, it is completely contained, built into the fermenter and never needs cleaning or sanitizing - truly ingenious for a fermenter of this scale. Easy Interior Access: A wide open top and smooth interior sides make cleaning this unit a breeze! No internal cooling coils, fittings, etc...mean reduced potential for hidden bacteria and microbes and a much easier time of cleaning this fermentor for storage! Golden Angle Conical Bottom: The cone shaped bottom of the fermenter is standard for professional breweries and for good reason. 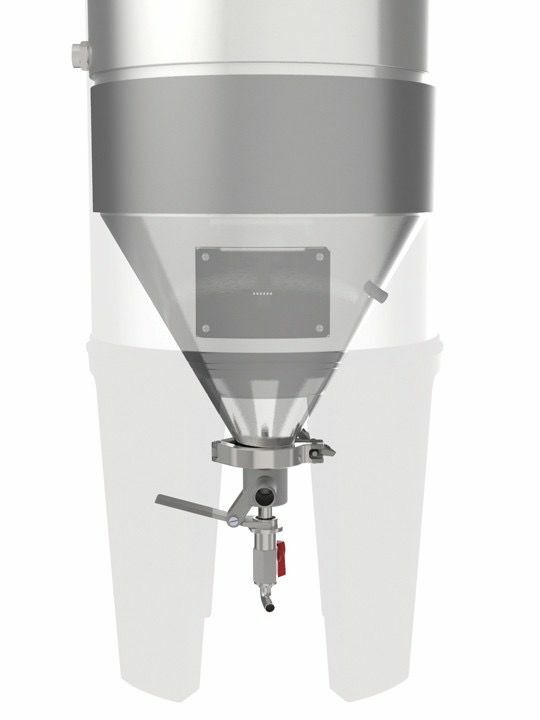 The Grainfather conical has been designed using the 'Golden Angle' of 60º. This is the optimum angle for yeast and sediment to settle down to the bottom of the cone without sticking to the sides, allowing you to transfer from above the sediment level, and yielding clearer beer. The conical shape also allows for better mixing during fermentation due to the path of convection currents that it enables to occur. 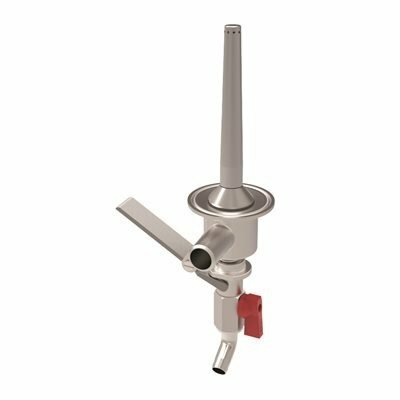 Dual Valve Tap: The included Dual-Valve Tap assembly makes yeast dumping, transferring, and sampling a breeze! Samples and transferring can be done using an inlet above the sediment layer, allowing for clear and sediment free beer. You can also easily collect your yeast from below the sediment level with the same valve. That yeast can then be saved for future pitches. This design allows for more functionality with less cleaning! 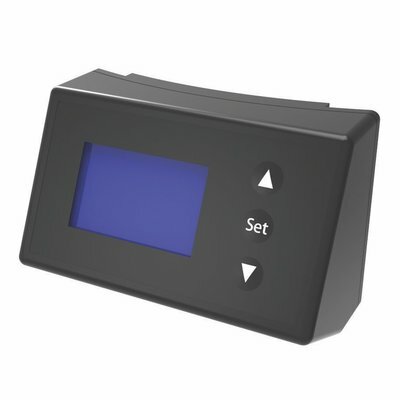 Temperature Controller: The Grainfather Temperature Controller quickly and easily snaps right on. No more adhesive thermometers! 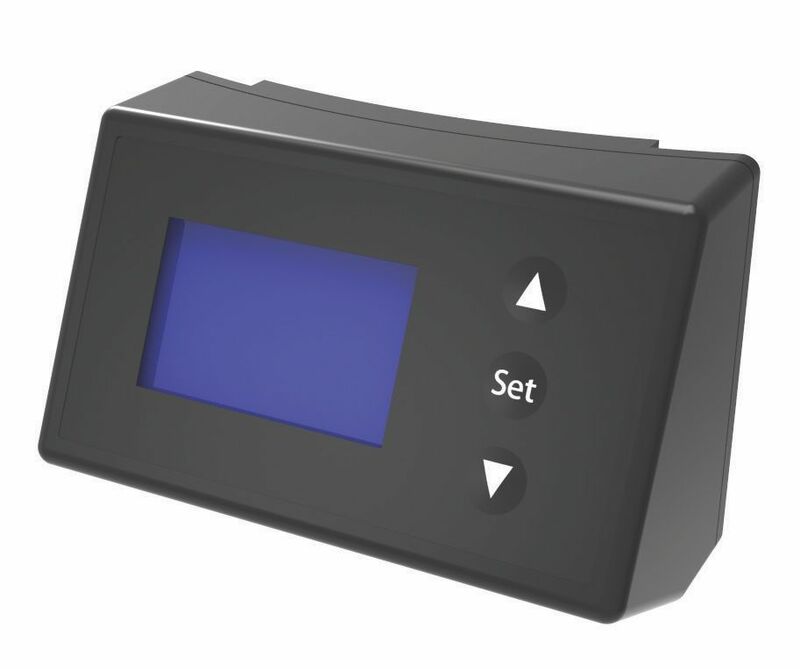 This controller allows you to accurately dial in your fermentation temperature and even set up a temperature schedule/profile for multiple temp steps! Set up to 4 profiles, each with up to 5 stages! This controller can control both heating and cooling. Support: Grainfather products are fully supported around the world by a wonderful support team who loves to brew just as much as you do! The Grainfather support team is there for any technical inquiries on brewing, how the Conical Fermentor works, or general customer service inquiries. Click Here for Grainfather Conical Instructions. Click Here for Grainfather Conical approximate Heating Times and Temps. Click Here for Grainfather Conical Dual Valve Tap Assembly Instructions. 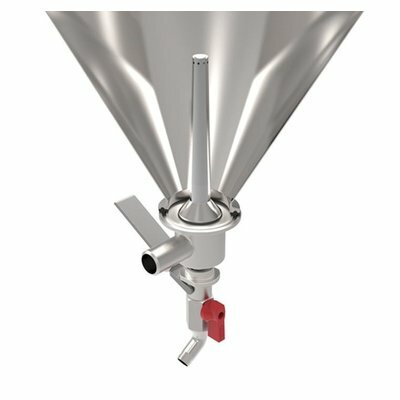 Click Here for Grainfather Conical Lagering Guide. This item features a 24 month equipment warranty.